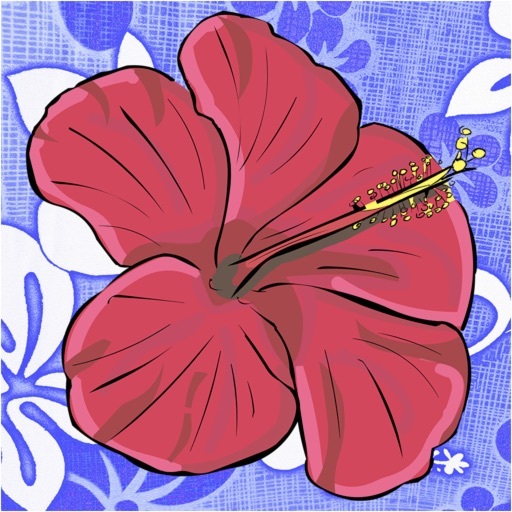 Download now to learn common Hawaiian Words! 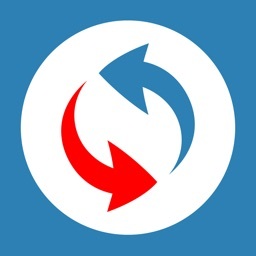 Simply enter a word to translate, or browse through hundreds of translations! 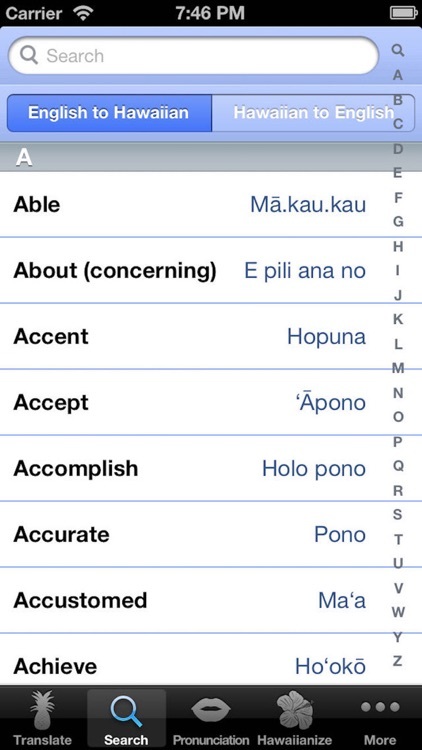 • "Trying to learn Hawaiian and it is soo helpful!!" 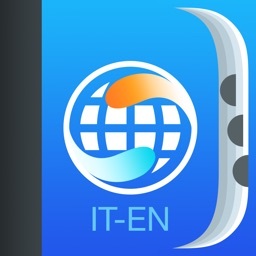 • "This app is the best Hawaiian translation that I have ever used. Aloha!" 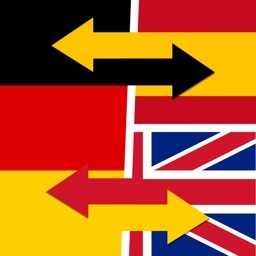 • Learn to pronounce words out loud! 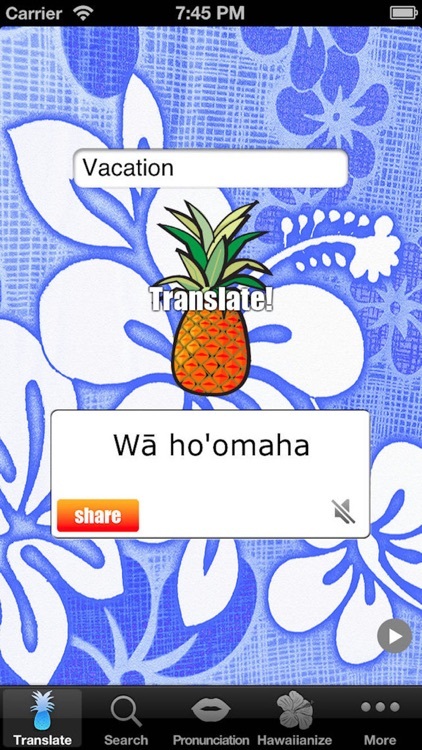 • Convert any word into a Hawaiian word! • All upgrades in one discounted bundle! 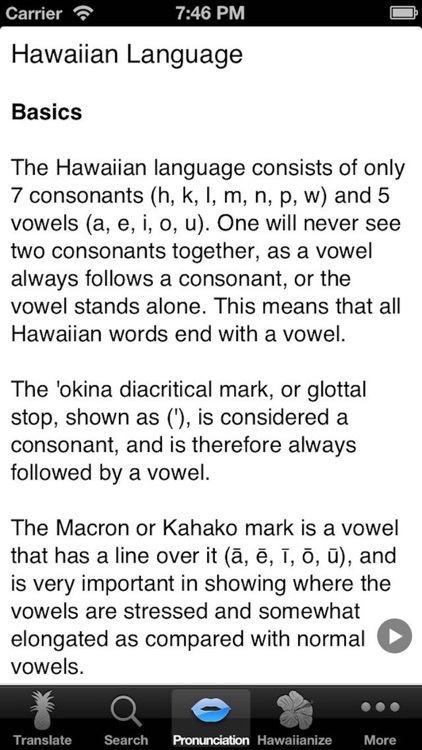 Learn to speak the language of the Hawaiian islands! 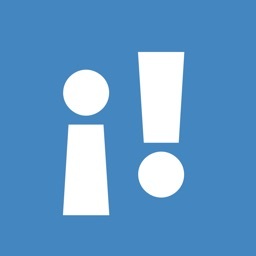 Our dictionary contains many vocabulary words, popular phrases, common sayings, and slang. 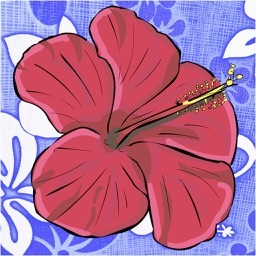 The Hawaiian word for Love is Aloha. It is also the word for Hello, Goodbye, Affection, and Sympathy. 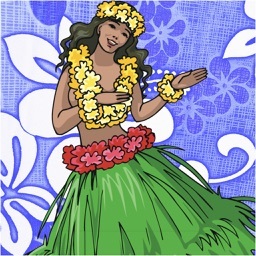 Use Hawaiian words when you travel to Oahu, Maui, Molokai, Lanai, Kauai, or Hawaii (the Big Island). 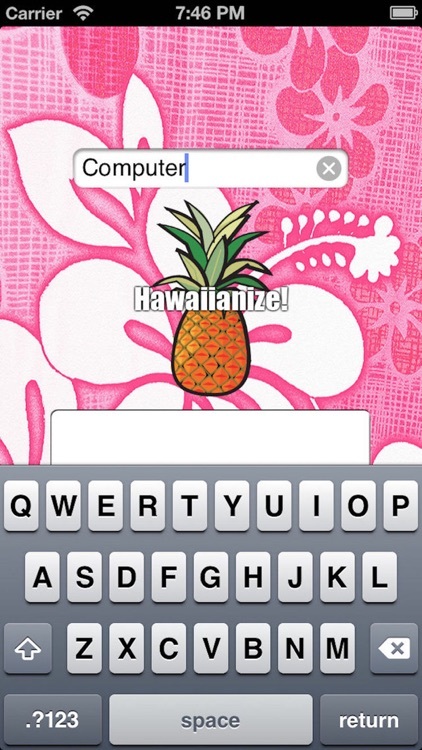 Check out our companion app: Hawaiian Names!